Gone are the days, when one had to wait at the neighborhood printer and photocopy guy, to get one’s files and documents printed. Welcome to the new age all - in - one printer which allows you to not only print your documents but can also copy and scan your documents as well as photos. And with the fast paced development in technology, the prices of all kinds of printers, be it for home or office use, has gone down steeply and one can afford a decent printer within around 2K. 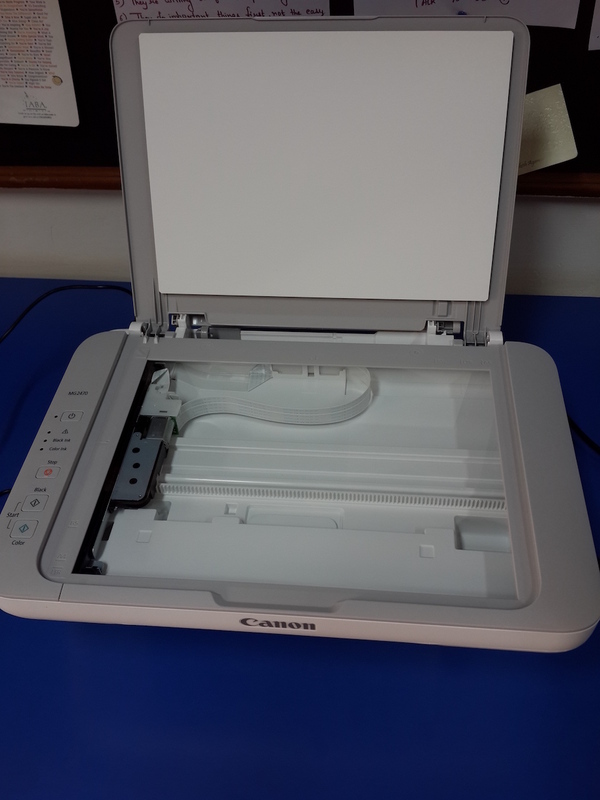 In this space, we are reviewing today, the Canon PIXMA MG 2470. This is a multi-function ink –jet printer that offers the print, copy and scan features. Ink Jet printers, although slow at printing, are cheaper on the pocket as compared to laser printers and are perfect for personal use. Setting up this device is very easy and does not require any additional support. One needs to simply follow the instructions on the manual provided with the printer and the printer can be set up in less than 15 minutes. The printer comes with a CD drive to facilitate the installation on the computer to be connected to it. It also comes with a power cord and a USB cable to connect to the electricity point and computer, respectively. The paper tray is at the rear and paper can be loaded easily onto it. At one go, about 50 to 70 sheets of paper can be easily loaded on to the rear tray for printing. It also supports A5, B5, 5*7 & 4*6 paper sizes apart from the usual A4 size. It can also support photo paper and envelops. When not in use the rear tray is collapsible, thus saving storage space. There is a paper guide attached to the rear tray and needs to be aligned to the left as per the size of the paper. 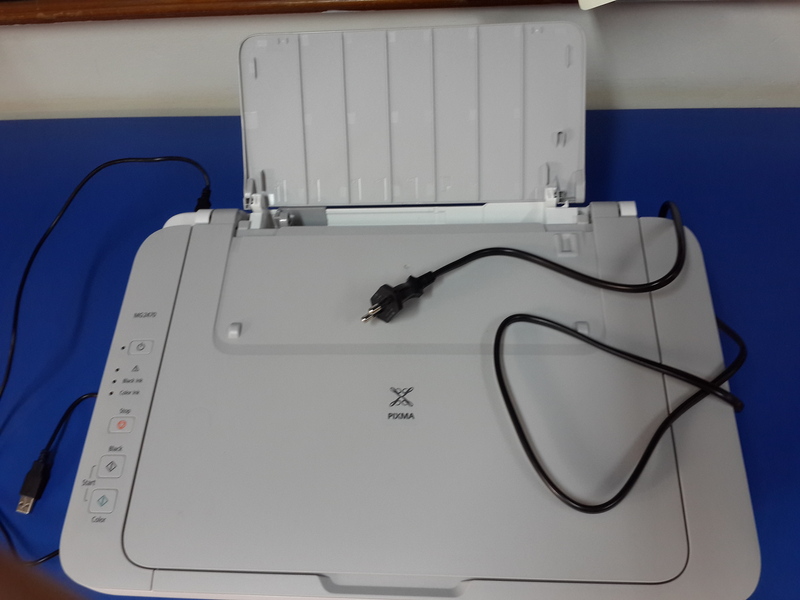 The document tray to load documents for scan or Xerox, comes with a platen glass. After placing the document in the tray and closing the tray’s lid, one needs to just press one of the start (colour / black) buttons to facilitate the process of copying or scanning. The paper output tray can be extended in three parts and it is recommended by the manufacturers to ensure full extension when printing is on. The cover panel can be easily removed in the case of paper jamming or to replace ink cartridges. The ink cartridges provided with the machine at the time of first installation are 1 black and 1 colour. Compatible fine cartridges for this model are: Colour – CL -746XL / CL – 746 and Black- PG – 745 XL / PG – 745. Apart from the regular document printing in colour and / or black, the printer also provides the following print layouts: photos, envelops, cards, collages, calendars & video layouts. 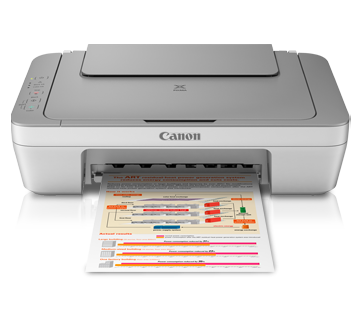 In fact, to get the layout for printing any of these is fairly easy and can be done at the click of a button using the canon quick menu from your computer’s desktop. The scan feature allows you to scan documents as well as photos and also photos which are embedded in the documents. Once again, this can be done at the click of a button from your desktop using the printer’s quick menu. Xeroxing is as easy as pressing a button on the operation panel. On the operation panel are the start button (used to switch the machine on or off); the start lamp (indicates if the machine is on or not); the alarm lamp (flashes when printer is out of paper or ink is low); ink lamps (lights up when printer is out of the ink – black or colour); stop button (to abort an ongoing print / Xerox / scan operation); and colour buttons (to facilitate Xeroxing in colour or black). The Canon PIXMA MG 2470 has a smooth curvy design and comes in a combination of white and creamy grey combination. There are no sharp edges and there is an overall clean look to it. Print Quality and Ink usage: The quality of the print out is very good, both coloured and black & white, but the ink usage is high. With one cartridge, around 80 sheets of black & white paper can be printed, if there is only text and not much graphics. The ink usage also increases after using the printer for a few months. The printer may or may not detect a change of cartridge, as the cartridge holder has some inherent design defects. Colour accuracy and sharpness of the printed material is good. Further, the ink on the paper does not smudge when using a highlighter pen on it. If water is dropped on the paper immediately after printing, there are chances of the ink running but once the ink is settled, a stray drop of water will mostly not smudge the ink. Print Speed: For text based documents, this printer prints about 10 pages per minute and for image print outs, the speed gets restricted to 5 - 6 pages per minute. Also, when the device is switched on, it takes literally around 60 seconds to get started at printing the first page. Ease of usage: The Canon PIXMA MG2470 comes with one set of Fine cartridges which can easily last up to a month depending on the usage. It is very easy to install the drivers, load the ink, replace the cartridge when the ink is over, load the paper, align paper for the first use, and , get the printer working. 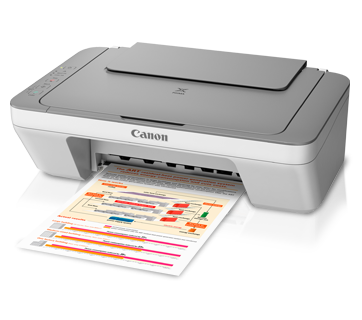 This printer from Canon gives high quality print outs and copies and is really easy to set up and use. 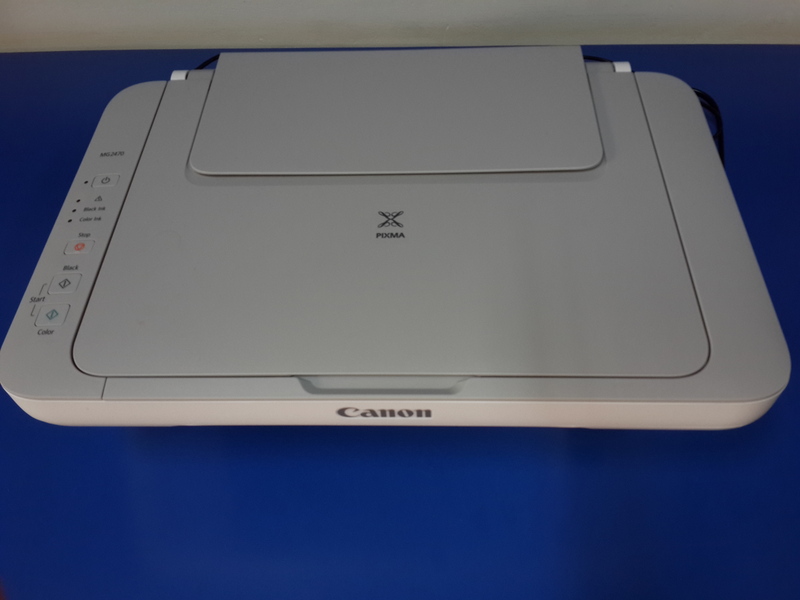 The CD drive along with the printer installs an inbuilt Canon quick menu & Canon on-screen manual which contain detailed information about setting up, using and troubleshooting any concerns with the device. There is also access to the online manual by selecting the Detailed Manual link via the quick menu. One can quickly check the ink levels, product information, etc., by just clicking on the relevant buttons in the Canon quick menu on one’s desktop. - There are no wireless functions in the printer, which is somewhat a needed requirement in today’s time. Therefore, every time some printing needs to be done, one has to connect the printer via USB cord to the computer. It also limits the printer’s use as printing using the phone or tablet is not possible. - Since, it is an inkjet printer, the ink usage is not very low and the cartridge can roughly print / Xerox around 80 to 100 pages only, which is rather low compared to many other similar printers in the market. Also, because of these reasons, the Canon PIXMA MG2470 is best suited for settings where large volume printing is not needed. - Canon servicing, especially in small towns can be easily called dismal (as also experienced by the reviewer). So, that’s a call which the buyer needs to make whether they can do without quality servicing. Overall, the printer is a steal in its said price and is perfect for low volume printing at home or at office. It is very easy to set up, use and troubleshoot, so one need not be dependent on any technical service provider for the same. It is also a very lightweight printer and can be easily moved around without much effort. An overall rating of 6 / 10 is suited to this product. To Recieve updates and possible rewards for Canon MG2470 please sign in. To Recieve updates and possible rewards for Printer and Scanner please sign in.